They are really good! They taste similar to marzipan, but a bit tougher. Think of a flourless chocolate cake, but instead made with almonds. The almonds give the cookies a bit of toughness, but you're rewarded with half of the cookie being dipped in chocolate. Definitely a great gluten free treat. 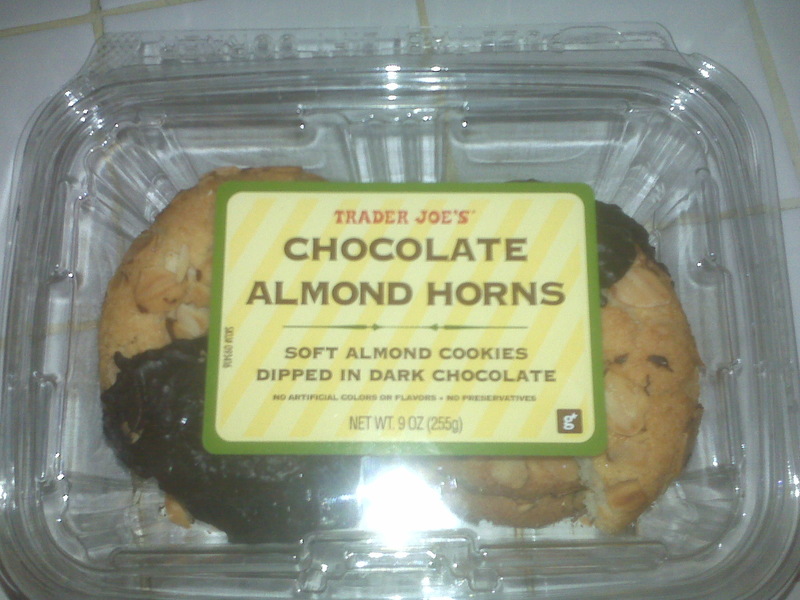 My sister bought these today from TJ's...they are chewy with just enough sweetness. YUMMY!! Taste good, too much chocolate(not a c lover), almond smell wonderful. a little sweet.